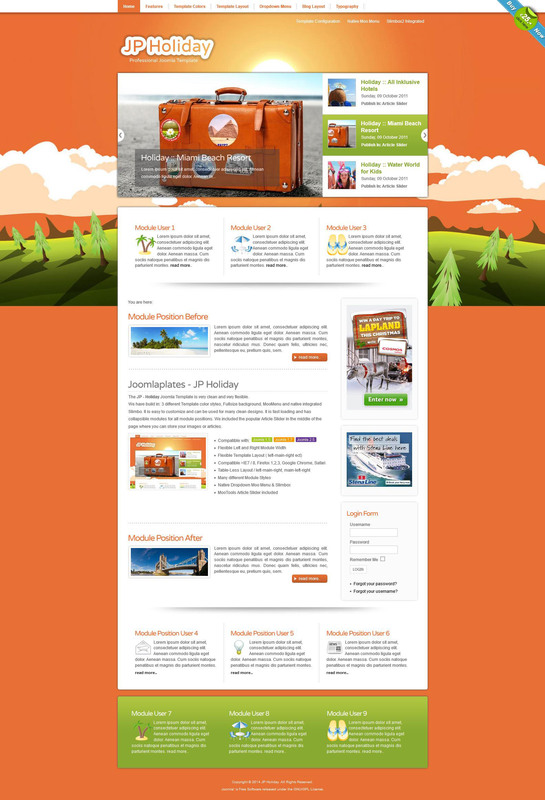 JP Holiday - original template that is designed to create sites that provide travel services. Layout Design worked very efficiently, possible to easily configure the template. Template can be used in 3 different color styles, you can customize the background pages, menus and MooMenu Slimbox. This template has a high speed of loading pages and includes a flexible modular design. The package is a popular module Article Slider, which provides a decent set of tools to display the images of the site materials.